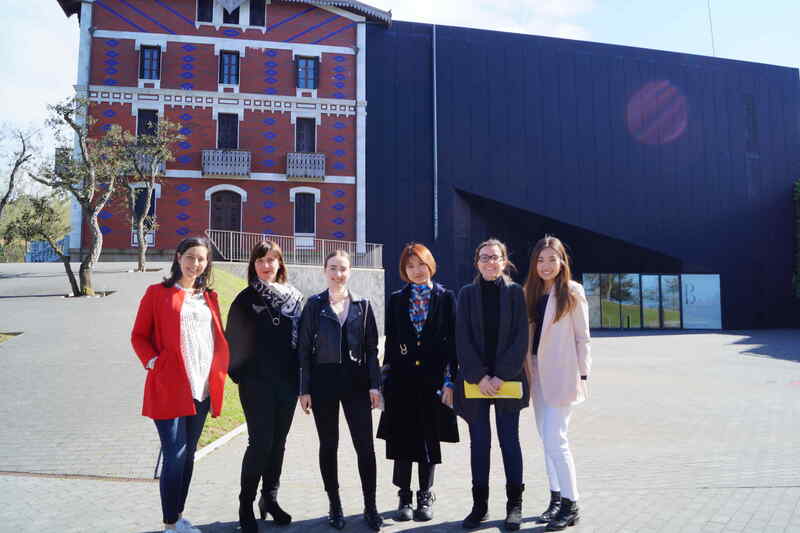 Students Eden Clingman, Annabel Hoyng, Xinyi Li, and Enni Zhao worked with the Cristóbal Balenciaga Museum in Spain to create a report proposing a research and creation space for the museum. This interview provides a case study of their project. We worked with the Cristóbal Balenciaga Museum in Spain to deliver and plan a research and creation space for the museum. 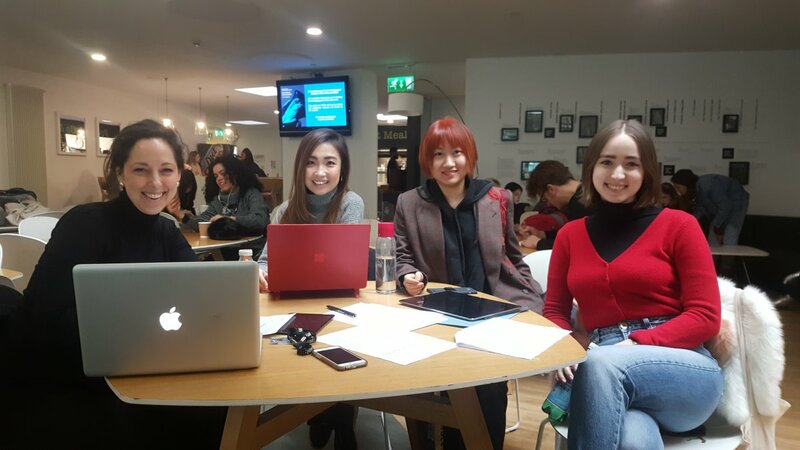 This included a visit to the museum to meet the museum staff and see the space, as well as conducting interviews with focus groups of students, academics and fashion professionals. We analysed the data and created a report which included: a design for the space, proposals for marketing and communications, research content, services and management. The museum is about Cristóbal Balenciaga the designer as opposed to the brand of the same name. The industry partner was brought in by LCF. We applied individually to be part of the team assigned to the project. Although we each have different characters we worked well together because we were all equally committed to the success of the project. We adopted a clear structure and identified our complementary skill sets to distribute the tasks between us. This helped us to engage with the project and each other. As a team we worked effectively to support each other to complete the project because each of us proved we could work efficiently by always meeting our individual deadlines. This established professional trust between us and meant we were able to respond well to constructive criticism from each other. "For those of us from a business background collaborating on a creative project has been very different in structure and outcome to a business collaboration, but very rewarding. " We have developed key skills of working together on a real life project outside of academic theory. We have gained useful contacts at the industry partner as part of our professional network. Participation in a successful project with a museum with the reputation of the Cristóbal Balenciaga is a great addition to our CVs. We have learned about museology, report writing, Spanish and Basque culture, as well as about Cristóbal Balenciaga as a designer. We have acquired an idea of how many people work in the global fashion design industry. We have gained insights into the challenges of running the museum. Within the group some have learned how to be better organised, whilst others have been encouraged to think more "outside the box," be open minded and question assumptions. We have learned the importance of listening to others. "We have learned about each other's academic disciplines and seen what that knowledge was able to bring to the project." Because we didn't know each other and there was no designated leader for the project, there was a hesitancy at the beginning as to how we should proceed. The trip to Spain organised by the industry partner helped us enormously to bond as a group and energised us all to push the project forward together. At the beginning we were uncertain of the expectations of the industry partner. Communications were difficult because of the distance, the Skype connections were not good, and the overstretched museum staff were all busy organising an exhibition. These difficulties were overcome once we were able to meet the staff in person. The trip organised by the industry partner to visit the museum space and meet the staff was a definite highlight. The staff had arranged a programme for us which was well organised and very useful for the project. Organising the focus groups with LCF students and academics across all courses. These provided the opportunity to engage with others about the project and we all feel they went well. Drafting the final report. We had all prepared well beforehand and were able to agree the structure and our conclusions, before dividing the writing up between us. We will take what we have learned about successful collaboration and use it in future collaborative and team situations. What advice would you give to new students about Collaborative Unit? It is worth applying to the LCF industry projects. Go for those where you are interested in the project brief, not the ones offered by the best known name. Have an open mind. "Be prepared to work with somebody you don't know and meet new people, and to work consistently and to listen to and learn from each other."